The Passion is a flexible multi-purpose WordPress theme suitable for the entertainment creation sector. With video support throughout, you can provide your viewers with an impressive and memorable homepage. The Passion comes with an extensive theme options panel, a selectable range of custom styles, selectable page templates for a variety of elements, and unlimited color scheme editor. 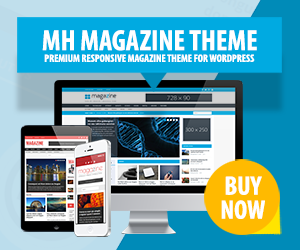 This multi-purpose WordPress theme is suitable for video producers and content creators and looks well-organized on all modern browsers and mobile devices. This flexible video and music WordPress theme is further fully compatible with a wide-range of popular 3rd party plugins. The Passion also offers a handful of premium plugins at no additional cost. With this versatile WordPress theme you can launch awesome websites related to the entertainment industry and put your favourite videos and other media in the spotlight.